The concept of relapse embraces more than just going back to using drugs or alcohol after getting sober. Relapse includes the idea of returning to a bad behavior one had ceased doing. It includes the idea of backsliding, or worsening. It includes the idea of a failure to maintain a higher state. For those who have overcome their struggle with addiction and achieved sobriety, relapse is a source of ruin which can throw the person back into the vicious cycle of addiction and the suffering involved in living the addiction lifestyle. America seems to love the Super Bowl more than any other single sports event. It is a time to celebrate with family and friends, enjoy a barbeque, and a few beers. For many, it is just plain fun. For recovering alcoholics, it can pose a hazard, putting the person at risk of relapse and heavy drinking. Based on experience, substance abuse counselors view Christmas, Thanksgiving and even Super Bowl Sunday as major events which can fuel heavy drinking. According to a recent online ABCnews article, staff at the Center for Dependency, Addiction and Rehabilitation at the University of Colorado Hospital prepare to receive a large number of calls in the days following the Super Bowl. 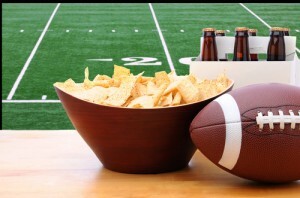 Super Bowl Sunday can be especially hard on individuals who only recently quit drinking, according to one Denver-based addiction treatment professional, Dr. Fehling. Being surrounded with everyone drinking in celebration can be too much to handle. Consuming alcohol while watching the Super Bowl appears to be a long-standing American tradition. A 2009 Neilson study reported 52 million cases of beer were purchased by Americans before the big game. According to a 2104 University of Buffalo study, the Super Bowl lead to particularly high alcohol consumption amounts even amongst already heavy-drinking men. The nearly 100 men studied were found to consume 6 drinks on the highest alcohol consumption day–a Saturday night. On Super Bowl Sunday, their alcohol consumption increased to 8.7 drinks. Lead author of the University of Buffalo Research Institute of Addicitons study, Ronda Dearing, notes the increase in drinking of already heavy-drinking adults highlights the drinking hazard associated with Super Bowl Sunday. According to Florida-based Origins Behavioral Healthcare, a substance-abuse treatment company, more concerned family members contact them post Super Bowl, asking about getting help for a loved one or approaching the idea of intervention. Rachel Docekal, Origins Behavioral Healthcare VP of marketing, notes that already existing drinking problems“really come to light”, with family members there to witness the daily alcohol consumption. It is important for those who wakes-up on Monday morning after the Super Bowl thinking they have drinking problem to get some help. Docekal suggest calling local resources, and asking if help can be provided, further noting that if a person thinks they need help—they probably do, and not to wait to get it. It is important for a newly sober or newly-recovered person to safeguard and protect their hard-won sobriety. Alcohol is a legal drug in society today. It is readily available. It is commonly a part of celebrations, parties, social get-togethers and sports-related activities. The safest and simplest way to say “no” is to watch Super Bowl Sunday with fellow recovered friends who celebrate life and the big game by not drinking alcohol.